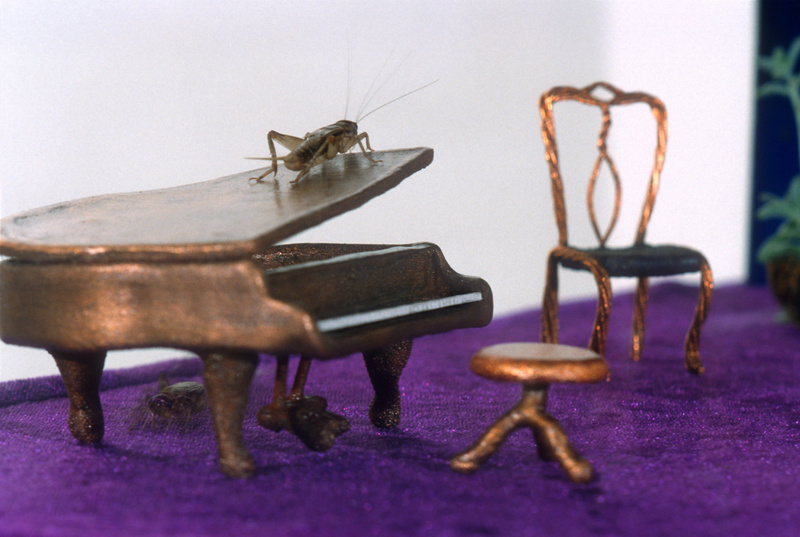 This technologically-enhanced nature experience attempts to facilitate communication between crickets and humans. 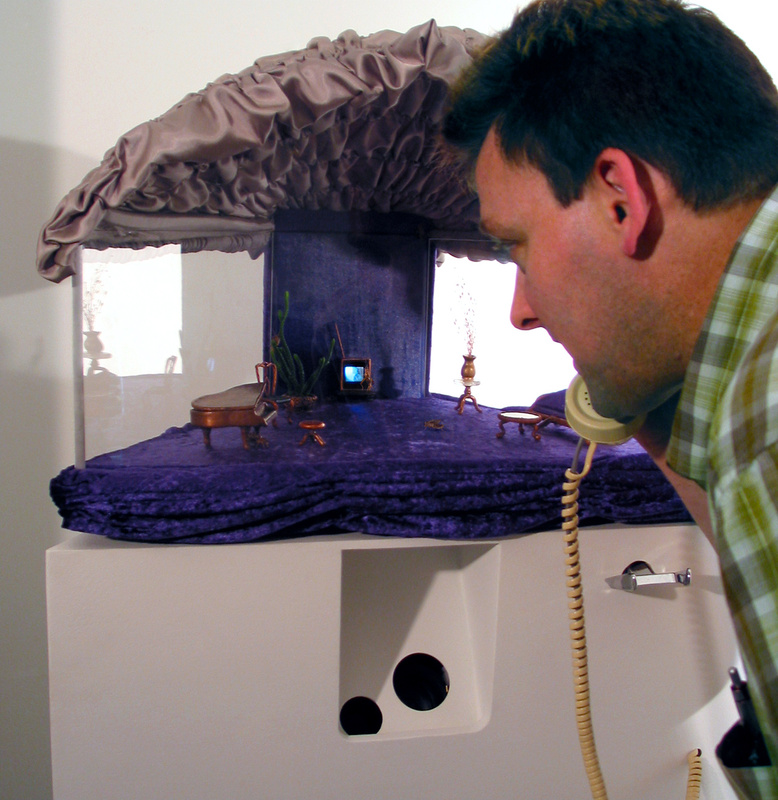 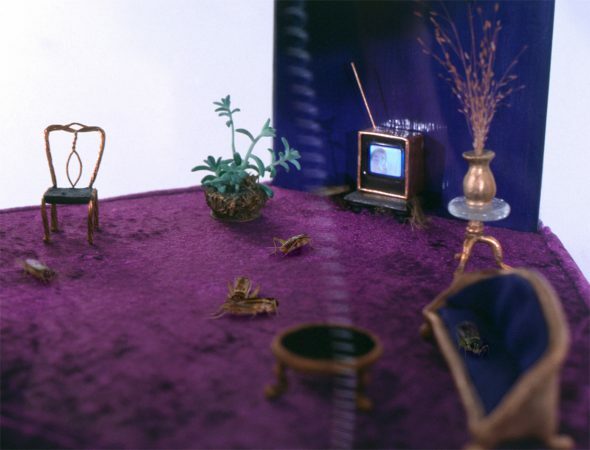 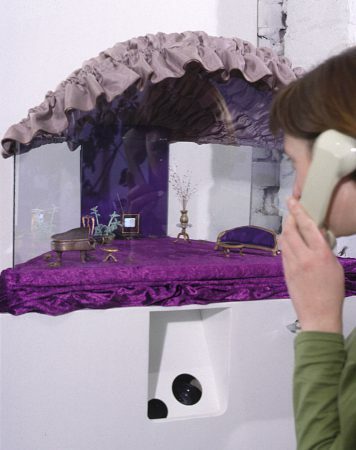 The cricket participants live in a glass-walled, human-like environment which, when a human participant is present, includes a televised human on their own scale. For the human, there is a telephone interface which receives the amplified chirping sounds of the actual crickets and sends voice-activated electronic chirping sounds to the crickets. 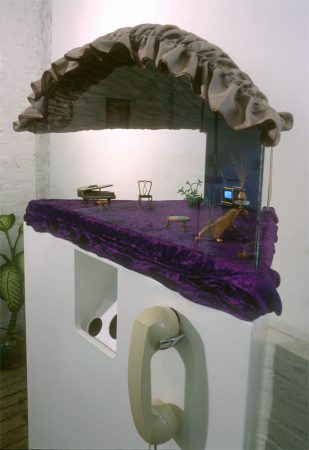 Dimensions 65" x 26" x 24"
Materials Live crickets, plant, custom electronics, amplifier, telephone, video camera, copper, glass, fabric and wood.